Call our 24/7 020 3404 0500 or make use of our online registration form here to get a non-binding and free of charge estimate for our after builders cleaning service now! Excellent Carpet Cleaning was founded in Lewisham SE in 2005, and since then we have been rising into a renowned professional cleaning company, which provides an effective after builders cleaning service to the people and firms in the area. We offer after builders cleaning to our clients, simply because we are being informed of the blunder which is normally left over following a construction task or home improvements have been carried out, and we are equipped with the most modern, powerful and safe pro cleaning gear, solvents and tools to take away all dust particles, debris, paint and plaster specks as well as any other grime from your home in a matter of a several hrs. 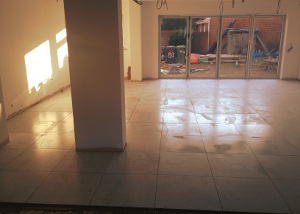 Our after builders cleaning service is ideal for commercial and residential cleaning right after a reconstruction or redevelopment. Call up 020 3404 0500 or use our online quote form here. You could do that 24-7, and will get an e-mail affirmation from our customer assistance personnel within the next two hours. No downpayment is required. Our rates is predetermined. You pay mainly after the service has been completed. It is a wholly covered by insurance service. If you want to receive a discount, in that case you should get more than one of our services at once. We could then offer you price cut of up to 15%. Local property owners and estate agencies can take advantages of our special fees, and so can clients who order earlier or loyal ones. Conserve efforts, your finances, and book a blend of our cleaning and servicing services right away!